In a detailed budget proposal addressed to the North Barstow/Medical Business Improvement District, the popular local food market is requesting $19,000 following a $2,500 donation from JAMF Software. The request is to provide an incentive program that would match FoodShare members’ token purchases, dollar for dollar, up to $10 per week. Essentially, $10 means $20 worth of farmers market food. FoodShare, formerly known as Food Stamps, is a state program that helps low-income people buy nutritious food. 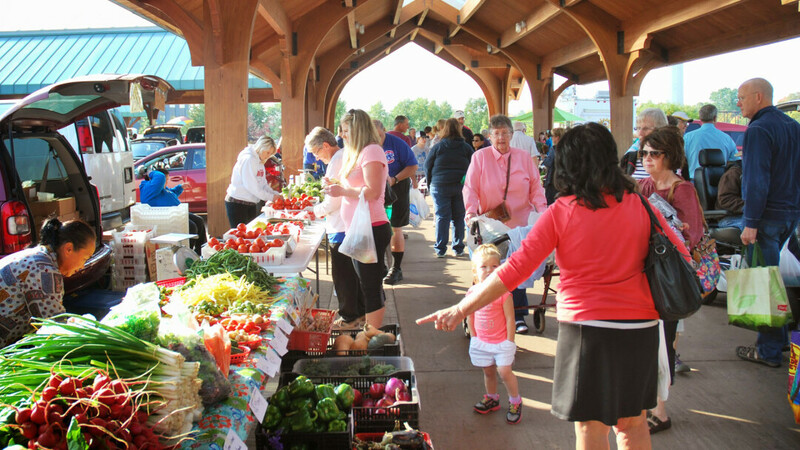 Eau Claire Downtown Farmers Market manager Deidra Barrickman cited an increase each year in token sales, going from $4,000 of tokens sold in 2012 to roughly $15,000 during the 2014 season. The Token Program uses a point-of-sale machine at the market that allows patrons to purchase tokens with either cash or a credit/debit card, although cards have a $1 fee that goes toward program transaction costs. Tokens are used like cash at the market, and vendors cash in their tokens at the end of each day. Chris Kees-Winkler of Wheatfield Hill Organics has found the Token Program to be valuable in previous years. The budget request goes on to talk about the benefits of an incentive program, pointing to success stories in La Crosse and Madison, as well as a Michigan statewide program called Double Up Food Bucks, giving patrons “hundreds of thousands of dollars” toward their local markets. With this program being something that is “near and dear to her heart,” Barrickman hopes to see a positive reaction from the community in support of the proposal.